Not all the interesting and colorful characters from the 1830s were British. 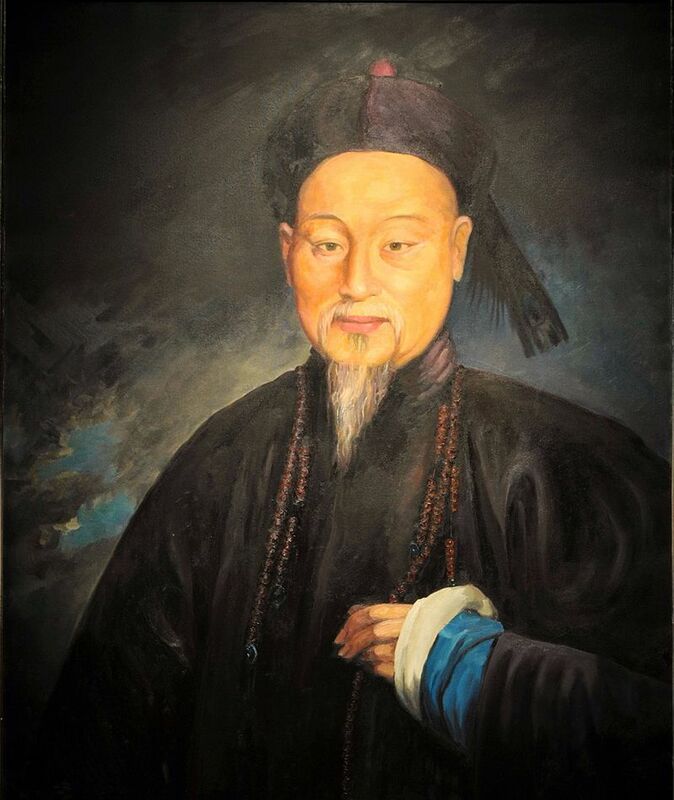 Lin Zexu, also known as Lin Tse-hsu, a Chinese scholar and government official, rubbed against the British mercantile ambitions of that era with dogged determination and incorruptible integrity. Unfortunately, the First Opium War broke out as one unintended consequence of his efforts. The humiliating defeat and resulting unequal treaty caused in Lin’s downfall. He became a scapegoat and spent much of his remaining years banished to the mountainous central-Asian Xinjiang frontier province of Xinjiang. 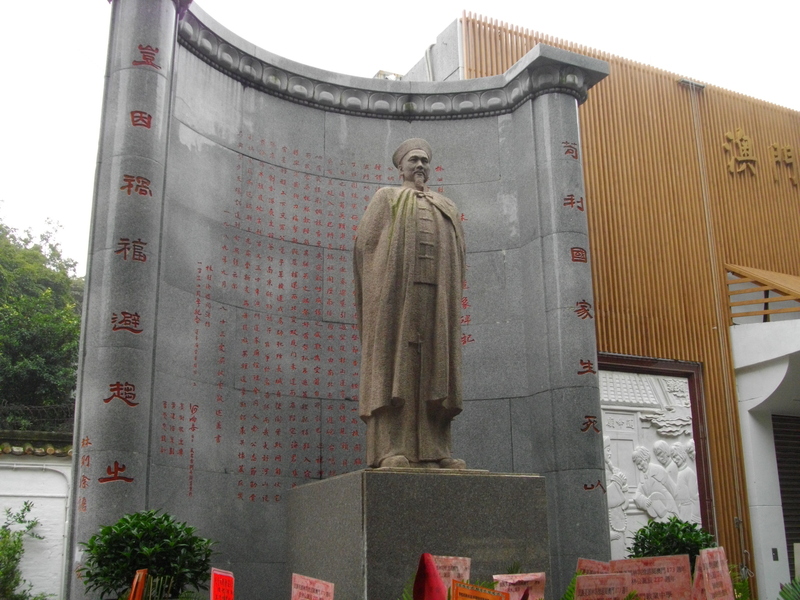 Today he is widely regarded as a hero in China. As a scholar, he joined a small group of progressive thinkers who advocated for the revitalization of traditional Chinese thought and institutions while also seeking the acquisition of practical knowledge including information about Western civilization and technology. Their ideas later became known as the Self-Strengthening Movement. 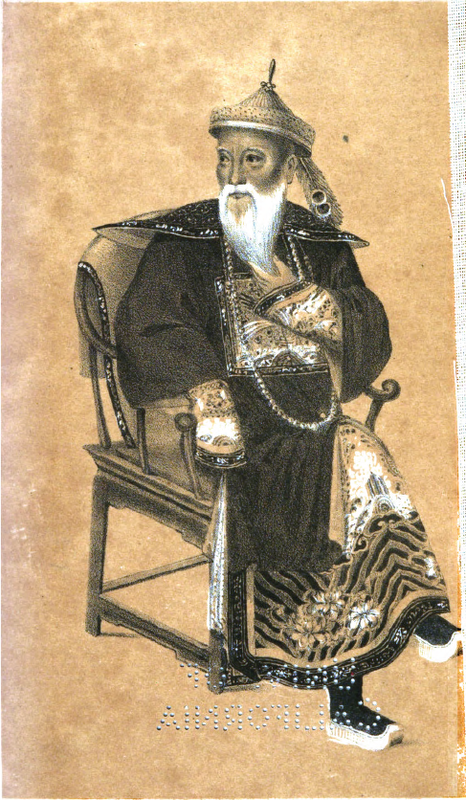 Eventually appointed governor of Hunan and Hubei provinces, Lin brought his formidable administrative skills and strength of character into opposition to the opium trade. By the time of his appointment the illegal trade in opium had reached catastrophic levels, and addiction had spread all over the country. 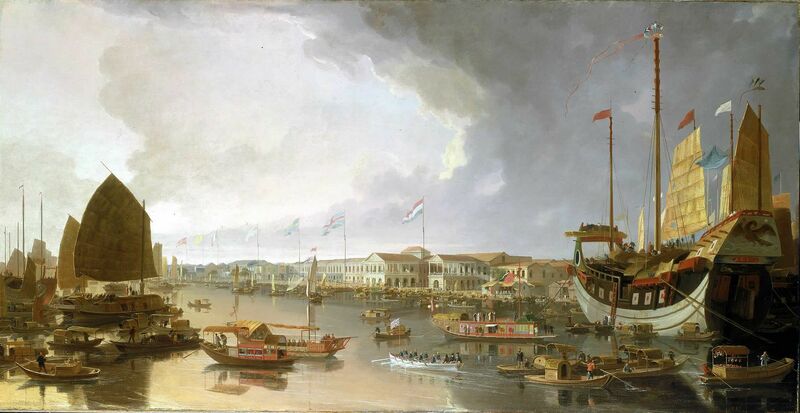 Though forbidden by Chinese law, European and American merchants made fortunes smuggling the drug into China. The raging opioid epidemic infested not just the provinces but also the army, the ranks of bureaucrats, and the royal family itself. By 1838 the death of one of the emperor’s sons and the drain on the treasury forced action. A full-scale debate occurred within the government with one party arguing that the drug should be legalized in order to tax and control it. Lin stood with those who wanted outright enforcement of the prohibition. He sent a memorial to the court in which he condemned the suggestion of legalization and outlined his successful efforts in Hunan and Hubei. Called in for consultation, the emperor appointed him Imperial Commissioner with wide ranging power. He set out immediately for Guangdong (known to the Europeans then as Canton) to enforce the law. Even before he arrived in the city he sent ahead a message to local officials listing fifty-four Cantonese citizens who had participated in or abetted the trade, some of them corrupt public officials. His message was obvious: complicity in the trade would not be tolerated. He set up his headquarters in Yuen-hua Academy, a school near the foreign compound and issued a rapid succession of decrees. Those who traded in opium as well as those who operated opium dens were to be prosecuted. The people of Canton province forfeited their honor by tolerating the drug and ought to be ashamed, he said. An interesting point is that, while users of opium were also condemned, Lin showed compassion and understanding for them. He allowed the eighteen months leeway to free themselves from the drug. He went so far as to consult the American missionary clinic in Zion’s Corner, David Olyphant’s factory, for methods and techniques that might help. He also addressed schools (which were the breeding ground for government service) directly, ordering that students be organized into groups of five for mutual support and enforcement. He issued a similar decree to peasant villages. Not least, he ordered confiscation of opium stores, first from Chinese hands and then from the Western traders. That Lin believed China should study Western technology, weaponry, and techniques, didn’t mean he understood their government or culture, however. He famously wrote an open letter to Queen Victoria that revealed detailed knowledge of the opium trade including where and how it was grown and insisted she must stop the cultivation and grow instead “the five grains.” But he also revealed significant blind spots regarding such things as his own ability to shame a sitting monarch, ignorance of British politics and trade, and the outright mistaken believe that opium was legal in England where opioids were sold openly in apothecaries without regulation. 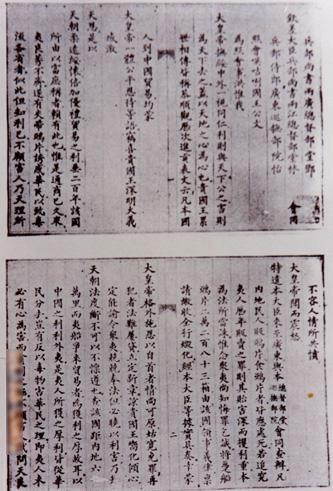 The American missionary journal, The Chinese Repository, reported the emperor’s decree, as enforced by Lin, as “Any foreigner or foreigners bringing opium to the Central Land, with design to sell the same, the principals shall most assuredly be decapitated, and the accessories strangled; and all property (found on board the same ship) shall be confiscated. The space of a year and a half is granted, within the which, if any one bringing opium by mistake, shall voluntarily step forward and deliver it up, he shall be absolved from all consequences of his crime.” Goodness! Focused and determined, Lin summoned twelve Cantonese merchants or “Cohong,” (a sort of Chamber of Commerce) and demanded they act as go-betweens with their foreign contacts. They were given a few days to force the foreigners to comply or two of their members would be executed. At the same time he sealed off the foreign quarter. At least one trader, Charles Dent, surrendered a token amount of opium, far from his actual stores. Lin demanded to see him. Dent, no fool, asked for safe passage, something Lin declined to give. He apparently had decided to make Dent an example by executing him. 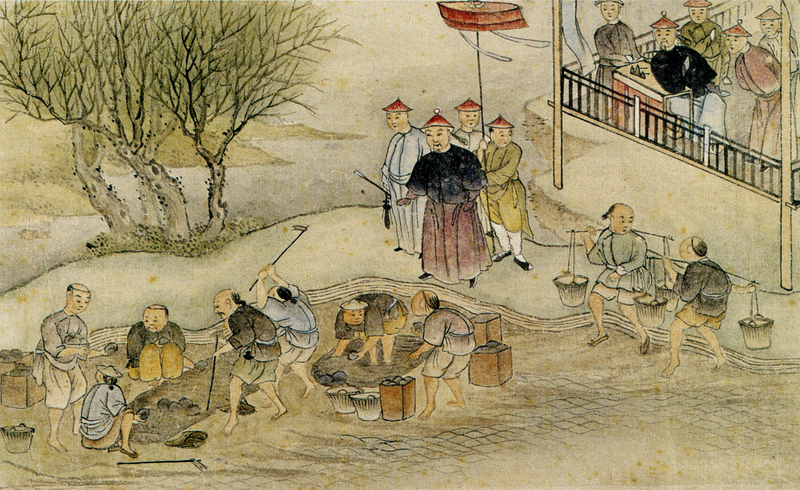 Threaten many, execute a few appears to be common Qing Dynasty practice. Leaders of the Cohong arrived at Dent’s premises with chains around their necks, a sign their lives too were at risk. Dent sent a colleague in his place, but Lin demanded the surrender of Dent himself. Into this standoff, the British Superintendent of Trade, Charles Elliot sailed on a small boat in full dress uniform flying the Union Jack. Dent survived, but the siege continued, ultimately successful to a point. Elliot ordered British traders to surrender their opium stocks on his personal promise that the government would reimburse them. Lin took this as capitulation, but the conflict had just deepened. He agreed to gradual lessening of the siege in stages, food allowed in initially, servants when he and one quarter of the stocks and so on until trade—in tea most importantly but other commodities as well—recommenced when all the stored opium hand been surrendered. Six months after taking office Commissioner Lin had possession of over 20,000 chests of opium, The drugs had a value of over £20 million, and few foreigners believed he would refrain from enriching himself. They were wrong. In June 1839 he set about destroying all of it down river from Canton at Humen. It was buried with lime, soaked with seawater, trampled to break it down, and flushed down the channel to the South China Sea. Lin offered a prayer for forgiveness for the pollution of the oceans. Elliot’s promise of compensation turned out to be empty. Parliament refused to pay it. William Jardine, a leader of the China traders, lobbied for intervention in London. Tensions continued to rise. When British soldiers in shore leave got involved in an altercation that resulted in the death of Chinese citizen, Lin demanded that perpetrators be handed over for execution. Elliot’s focus had shifted from one of controlling opium (a goal for which he had sympathy) to one of protecting Britain’s right to control and try her own citizens (something he saw as his duty). To this day historians may argue that the latter, the principle of extraterritoriality, was the underlying cause of the First Opium War. It was, in fact, merely the excuse for it. When the war party won out and the full might of the British navy sailed from India to China, Lin had no chance. The unequal war ended in an unequal treaty providing Britain with a wide range of “rights,” and China with none. Lin, disgraced, left for exile in Xinjiang. He continued his studies of Western newspapers, documented Muslim practices in the province, and advocated for traditional Chinese values. The emperor called him back to help put down the Taipei rebellion in Southern China. He died on the way in 1850. His reputation, already rehabilitated somewhat in the waning years of the Qing Dynasty, did a complete turn around in revolutionary China where he is viewed as a hero for his integrity and for standing up to the British. What a great post! I have heard about opium dens before, but had no idea it was this big of an issue. Great post, Caroline!! So much that has been written about the opium trade and resulting war casts the Chinese as backward, bumbling, willing pawns in the hands of more “advanced” Western merchants. It is nice to see an article on a true Chinese hero! I’ve come away a great admirer of Lin. He had backbone, compassion, and the good sense to attack the problem on every level. Caroline posts to History Imagined every three weeks. Wonderful article. Shared with pleasure. I am delighted it had value for you. Great read! Thanks for sharing some good historical facts!